Taste test: These were pretty hot potato chips. 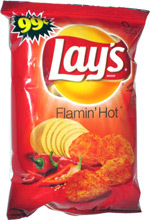 They didn't have any particularly distinctive flavor to them, other than hot, but for Frito-Lay, this was a pretty bold move into hot chips. 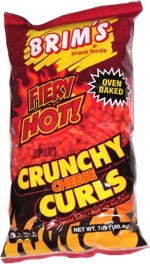 They had a hot-looking orange-red color, much like Chester's Flamin' Hot Fries.